Today's theme ... hiding. 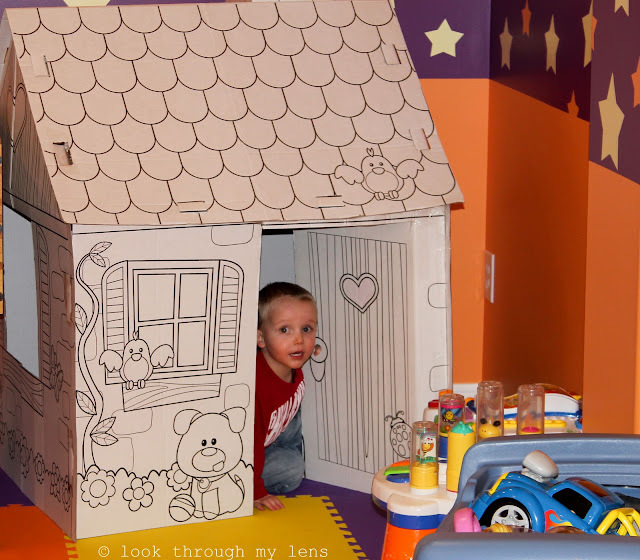 Playing hide and go seek in the paper house. Wonderous, Kiddy shot so true to how they play. I love the happy mischievous look of the child's face. I want a house like that, perfect to hide in! Too cute!